What is the difference between regular cleaning and deep dental cleaning? Imagine a scenario: where you are brushing your teeth and you notice a blood on your brush, on the floss or in the sink. May be swelling or redness in your gums? When you visit your dentist and the doctor completes an exam and reviews X-rays, you are informed that you have gum disease. Periodontitis to be exact! Dr Harmanpreet Kaur of Dental Designer explains what exactly Periodontitis is? She will show you the x-rays that reveal the progression of bone loss and the build-up of calculus. X-Rays will reveal the size of the pockets between your gums and teeth, where the bacteria collect and cause chronic systemic infection and inflammation in your gums. She will explain the difference between a deep dental cleaning vs a regular cleaning. A regular cleaning, also called prophylaxis, focusses above the gum line and may disturb the colonies of bacteria and not completely getting out of your gums. It involves removing plaque, stains, and calculus from the teeth. Our office uses best in industry ultrasonic scaler to remove plaque and calculus. For most insurance patient regular cleaning is covered 100% every six months. A regular cleaning polishes your teeth and results are immediately visible on the teeth. A deep cleaning is a treatment procedure that requires anaesthesia and several follow up visits. Deep cleaning is a procedure to remove bacteria and deposits from the gum pockets and root of the tooth. Only a qualified dentist such as Dr. Harmanpreet Kaur, DDS has the right tools and experience to perform a deep cleaning. In our office, deep cleaning is performed in a minimum of two visits. We perform deep cleaning one quadrant at a time. We make sure that any infection has been cleared and your gums start healing. Deep cleaning is essential to get the periodontal disease under control and avoid bone loss. Patients who have had their periodontitis treated at our office have repeatedly told us how much better they feel overall after their treatment. Not just their mouth, but their whole body. It’s amazing how hard your body can work to fight off systemic infection, and what a toll it can take on your energy levels and overall health. 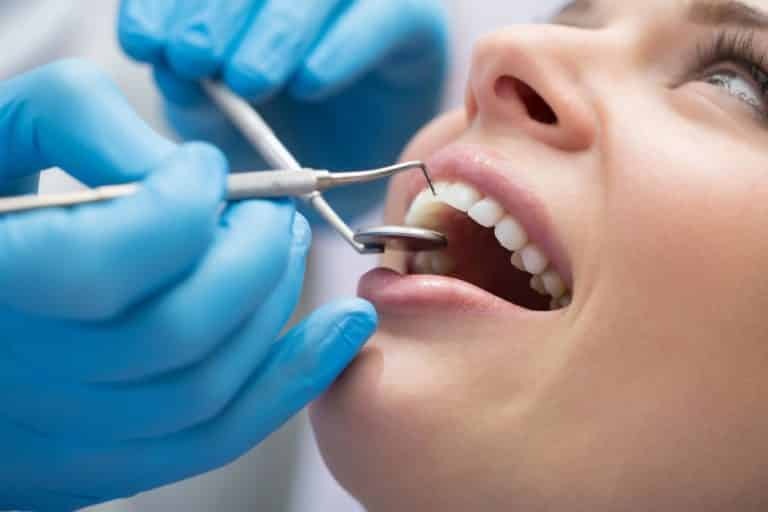 Patients who have come back for follow up maintenance visits and regular cleanings post deep cleaning report that brushing and flossing are easier, and isn’t painful anymore. Gum disease is treatable, curable, and most importantly, preventable. If you have dental insurance, chances are deep cleaning treatment is covered. If you are pregnant, seek treatment right away – gum disease is linked to preterm birth and babies with low birthweight. If you experience above symptoms and like to take care of oral health or learn more about deep cleaning, call Dr. Harmanpreet Kaur’s dental office in North Plainfield NJ at 908-756–6623 to set an appointment today!. We are a dental office serving Green Brook Township, Middlesex, Bound Brook, Piscataway, Dunellen and North Plainfield NJ. We are open on Saturdays and late evenings on weekdays. Check out dentaldesignernj.com for more details. Convenient weeknight and weekend appointments available.